For the best garage doors on the Central Coast, contact Greg James. We have a vast knowledge of the industry spanning nearly 40 years.Greg James Garage Doors offers direct service to home owners, owner builders and master builders..
Searching for steel and metal needs fulfilled one-stop centre? Then visit Toole Stainless Steel, its experts provides absolute quality steel and metal fabrication services that meets your requirements at a low budget. Visit us http://www.toolestainlesssteel.com.au/steel-supplier-sydney/. Book now for our unique $149.00, 20-point home or office safety check! We firmly believe every home needs a David Jones Safety Check. We offer our unique $149.00, 20-point home or office safety check valued at $330. No obligation. Consider the 20-point Safety Check if you: Are buying a new home Have recently had ceiling insulation installed Your home is more than 20 years old You have young children Safety is cheaper than the aftermath of a preventable disaster. The company CatRubbishRemoval has been offering the best junk removal services in Sydney along with the free quote service for their customers for many years with reasonable prices. Hire their services, click on http://www.catrubbishremoval.com.au/rubbish-removal-eastern-suburbs/. Choose our Landscaping and Turf Laying Services in Northern Beaches Sydney, we are available to provide a regular maintenance service to keep your turf fresh. Visit abloomgardening.com.au/landscaping-turf to learn more about Landscaping Services Northern Beaches.. 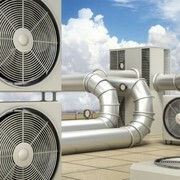 The company in Sydney called Real Air Solutionsis specialized in providing the reliable and effective Ducted reverse cycle air conditioning repair services in Sydney. These systems can incorporate such features as zone control to allow the selection of certain rooms, such as bedrooms, to be isolated when not in use. Best Locksmith Sydney readily serves our customers 24/7. We offer: Commercial Services (Master Key Systems, Digital Locks, Alarm Installations, Lock Repairs, & more!) Residential Services (24 Hour Lock outs , Deadlocks, Garage Door Locks, & more!) Automotive Services (Lost Car Keys, 24 Hour Car Lock outs, Car Key Types, & more!) Our staff being certified Master Locksmith Staff, we assure you of accurate diagnosis and the best remedy for your lock issues. Toolestainlesssteel.com.au is the perfect steel company that provides the top quality custom made outdoor kitchens in Sydney at the best prices. To get more details, visit http://www.toolestainlesssteel.com.au/commercial-kitchens-fitout-sydney/. Industrial painting contractors. 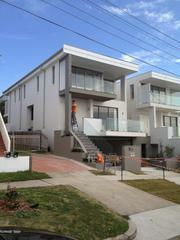 Australian painting is a commercial license painting company that fulfills all your commercial painting needs in Sydney. Contact Us- 34/ 50 Bridge street Sydney, New South Wales http://australianpainting.com.au/commercial.php. Here at Hunter Pool Certification we have a commitment to pool safety. We are a family based business focused on providing the best possible service to our clients. We aim to provide detailed reports with photos and recommended solutions to make your pool barrier comply. Website: http://www.hunterpoolcertification. Gordon Powers are a Sydney based team of electricians who are dedicated to providing only the best service to every customer. Working with both residential and commercial customers on a 24 hour emergency basis. ContactUs. Catrubbishremoval.com.au is a family owned business and have an experienced and expert team who removes rubbish from your place within no time with quicker and easier methods. Hire their services by following the links http://www.catrubbishremoval.com.au/rubbish-removal/. When you thing that you have to design you furniture then don’t hesitate just contact us. We provide you best garden furniture in Melbourne at reasonable rate and make you 100% satisfy. Our designers are excellently design your furniture and make it look appealing..
A locally owned family run construction company offering flexibility and uncompromising quality PO Box 1289 Port Macquarie NSW 2444 australia https://www.pk4projects.com/ 0428 757 886. Get custom made outdoor kitchens in Toolestainlesssteel.com.au company, offering commercial kitchen design services at lowest prices visit us at http://www.toolestainlesssteel.com.au/commercial-kitchens-fitout-sydney/. Professional painting services for internal & external surfaces including: residential, commercial and industrial PO BOX 2624 Carlingford NSW 2118 australia http://www.paintsydney.com.au/ 02 86770778 ash@paintsydney.com.au. The fabrication company Toole Stainless Steel in Sydney is the offering its metal fabrication services by using latest tools and equipment to get best results. To hire their services, click on http://www.toolestainlesssteel.com.au/metal-cutting-folding-guillotine-sydney/. Housecheck NSW is a leading industry, which offers Building Inspection Services and Pest inspection in NSW. We have a cost-effective price format of those services so everyone can get the advantages of our building and pest inspection in NSW. We have experienced building inspection experts who are 24 hours ready to assist you in pest and building inspection work. Family run custom kitchen and design specialists, 35 years in building beautiful quality kitchens made to your requirements. All trades catered for, exceptional service guaranteed 255 Military Rd Cremorne NSW 2090 australia http://www.thekitchenhouse.com.au/ 02 9953 0611. Repairing roof leaks quickly and effectively is critical to protect the exterior and interior of your house or business. A Star roofing can certainly help in the same. 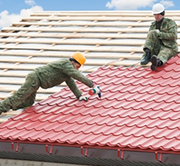 Visit http://www.astarroofing.net.au/roof-repair/ for more details about Roof Repairs Sydney.. Repairing roof leaks quickly and effectively is critical to protect the exterior and interior of your house or business. A Star roofing can certainly help in the same. Address: Sydney, NSW, Australia ABN: 67 992 547 855 Email : info@astarroofing.net.au Monday - Saturday Hours: 9am - 5pm visit astarroofing. Do your kitchen is too small for your family? Want to go for small kitchen renovations in Sydney? Kitchen Tek Australia is specialized in developing and renovating kitchens to make it properly useful by every inches. Visit our website to check some of our recent works..
A Bloom Gardening providesrestore gardens, landscaping , providing yard clearing, trimming and weeding, paving , turfing , retaining walls , gardening maintenance, lawn maintenance and also tree lopping and stump removal , and high pressure cleaning services. Visit abloomgardening.com.au to learn more about Gardening Services Sydney Email: sales@abloomgardening. Astar Roofing provides professional Roof Painting in Sydney, roof cleaning, painting and metal roofing in Sydney. Call us on 0432 378 018 today for roof guttering, restoration, repairs, leaking and replacement. Visit astarroofing.net.au to learn more about Roof Painting Sydney. Home Floor Tiles Sydney are known for their supreme designs and utmost quality at wholesale prices. We specialize in supplying quality floor, wall, bathroom tiles as well as bath ware accessories to various building projects at wholesale discounted prices. Talk to our experts today for best deals. http://www. Visit Tile Town Tile Sale Sydney, purchase quality Floor tiles, bathroom tiles, wall tiles and premium bath ware accessories at discounted wholesale prices. Give your home a brand new designer looks with Tile Town Quality products. Call us to know more about our services. http://www.tiletown.com.au/. Get luxury Bathroom Tiles Sydney and kitchen wall Tiles Sydney at the best price only at Sydney's number one tile shop – Tile Town Sydney. Get premium designs at pocket-friendly price. Here at tile Town shop Sydney we offer you the widest variety of options that perfectly suits your style and your home's appearance. LT + ASSOCIATES is an energetic innovative architectural practice which over the years has worked on a wide range of projects starting from residential alterations, through to education and large commercial projects. All sites come with their challenges but we see this a responsive design opportunity. We provide honest and professional metal roofing services in Dural, Downpipes, Winston Hills, Seven Hills. Call us on 0438 755 044 at A & K Metal Roofing. Visit http://www.akmetalroofing.com.au/metal-roofing-dural-downpipes-winston-hills-seven-hills to know more about Metal Roofing Downpipes..
Home repair services, maintenance services Sydney ads Sydney, Home repair services, maintenance services classifieds Sydney, Home repair services, maintenance services free ads Sydney, ads for sale Sydney, ads to buy Sydney, FREEADSAustralia Page number 6-1. Find here ads for sale, to buy and rent in Sydney. Goods for sale in Sydney, vehicles for sale in Sydney, Sydney real estate for sale, Sydney property for sale, property for rent in Sydney, business ads in Sydney, Sydney business classifieds, services in Sydney, Sydney services ads, jobs in Sydney, pets for sale in Sydney, Sydney dating, Sydney cars for sale.